The Arboretum is open 24/7 for Carleton student use, whether for recreational or academic use. The following information has been compiled to protect student safety, help guide students in finding resources to assist in using the Arboretum and to inform students on Arboretum policy. 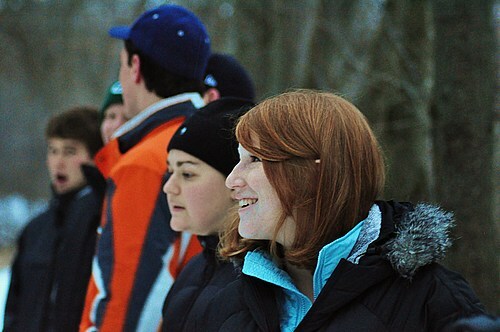 One of the primary uses of the Arboretum is for academic use. Many classes visit the Arb for specific class times or labs, or have assignments that require an independent visit. If you need assistance with an independent project please do not hesitate to be in touch with the Arboretum Director. We can help you find a location to fit your film project, identify an outdoor performance space, give you directions to find a specific plant or where to look for a certain animal, or help you find a certain habitat to inspire your creative writing project. Read more about resources available for your class projects. Our foremost concern is for your safety while you are in the Arboretum. Minnesota does not have many outdoor hazards, but there are still some issues to be aware of while you are enjoying the out of doors. Read more about personal safety including weather issues, plants and animals. The Arboretum hosts regular volunteer work events to assist with restoration and management of the forests and prairies. Help plant trees, remove non-native plants or collect seeds for restoration plantings. Read about these events and other volunteer opportunities, or sign up to our Google Group (called Arbor) to get notices about the events. Find out about what types of events are permitted and how to receive permission to host events in the Arboretum. A page of resources for students.